Typhoon Haiyan has led to an enormous loss of life in the Philippines. The search for survivors continues, and getting medical care to the wounded as soon as possible will be key. As international relief agencies begin to coordinate the humanitarian response, it is important to remember what we’ve learned from past natural disasters and figure out how we can most effectively help those in need. 1. Consider Cash: Want to donate to help survivors of Typhoon Haiyan? Consider giving cash rather than material goods. Cash donations provide charities with flexibility while they respond to a chaotic and fluid situation. Perceived needs are constantly changing, and since the Philippines is so far from the United States, US-based charities may decide to use your cash donation to purchase goods inside the Philippines. This approach has many benefits. Buying humanitarian relief directly from the region ensures that the goods purchased are appropriate for local populations. Buying locally also brings a much-needed cash infusion to local purveyors, which is an important part of any post-disaster recovery. 2. Think Before You Go: As we see the images of destruction emerging from the Philippines, some may be inclined to hop on a plane and offer their help in the relief effort. Before you go, find out what specialized skills are actually needed. Many locals who survived the storm are already offering their hands to help, and international volunteers without specialized skills have actually been known to hamper relief efforts. In the wake of the 2004 Indian Ocean tsunami, World Vision, a Christian relief and development organization, said, “Volunteers without [specialized] skills can do more harm than good, and siphon off critical logistics and translations services.” However, if you have certain specialized skills, you may be able to put them to great use in the Philippines. Government spokesman Manuel Roxas has said his country needs technical assistance. “Particularly those capable of extending assistance in restoration of communication lines and power and water supply, clearing of debris, and medical assistance.” But even if you have these skills, make sure you will be able to access the affected areas. No volunteer wants to get stuck at an airport for a week waiting for roads to open up or for connecting flights to begin operating. 3. Consider A Long-Term Stay: Highly skilled volunteers who deploy to crisis zones rarely stay for long. After all, they have jobs and families to get back to. This is understandable, but it does affect the quality of care delivered to vulnerable communities. When I investigated the work performed by medical volunteers in post-quake Haiti, I discovered that many made no plans for follow-up care for patients. As a result, many patients were left in pain and only partially treated. Before you go, try to figure out ways to ensure that there will be some measure of continuity of care after you come home. And be sure to leave an adequate paper trail so that those volunteers who come after you know exactly what was done and what the outcomes were. The Sphere Project: A voluntary initiative to improve the quality of humanitarian assistance and to encourage accountability among humanitarian actors. The Harvard Humanitarian Initiative: A university-wide center that provides expertise in public health, medicine and promotes evidence-based approaches to humanitarian assistance. Operation Giving Back: Helps surgeons find volunteer opportunities best suited to their expertise and interests, whether across town or across the world. Got more resources? Questions? Please add them here. Many many lessons from past disasters. One is that after natural disasters like this, people need immediate shelter, and then restoration of their livelihoods, as their productive capabilities are gone, i.e. tools, boats, shops, markets. The vibrant Philippine economy overall needs to reconnect with this population, through what we call ‘value chains,’ i.e. thoughtful targeted investments. 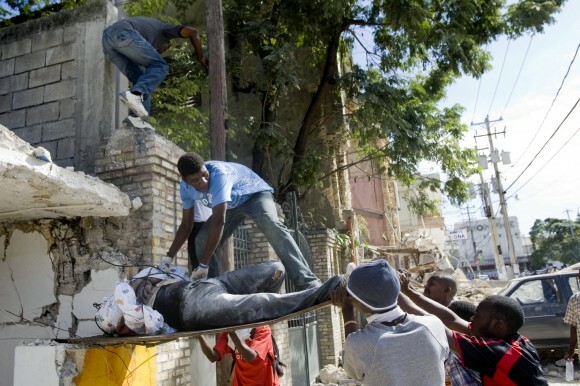 What does not occur after disasters like this are new epidemics or famines. One important lesson observed long ago, but not often remembered, is that disasters represent an opportunity also, an opportunity to rebuild in a manner that addresses the threat of the hazard for the future. So, rebuilding with more storm proof structures and town layouts and drainage, and in manners that build social cohesion and resilience. Donate to those organizations that recognize and support how Filipino communities help one another, supporting their natural resilience, as opposed to undermining it through dependence on external channels of stuff. So many important insights in here, Steven. Sounds like you have quite a bit of experience in this sector and direct knowledge of the realities on the ground in the Philippines? I agree that there are opportunities here, despite – or perhaps because of – the widespread loss of life, to “build back better” as they say in the development world! I lived in NYC during Hurricane Sandy and the havoc the storm created there led to many discussions about how we all can learn to (re)construct our communities in light of changing weather patterns and rising sea levels. Thank you for pointing out some organizations that you think are doing good work and for reminding us how needs change in the weeks, months and years following any disaster of this magnitude.